Do you have a music collection? or do you have a collection of music on sound cloud and you want to share your music with others through your blog? and you don't know how to do that, if yes then I can tell you an easiest way to share your music with you audience and increase your fans on sound cloud. You can share your music either as a gadget or in posts but both ways are easy, there is no difficulty at all. 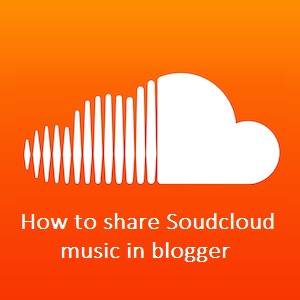 So this post is about how to share sound cloud tracks in blogger. Related post: How to add music player in blogger. Step 1: Go to soundcloud and search for the track which you want to share. 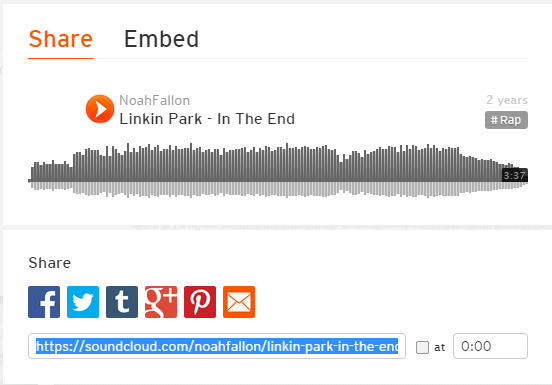 As an example I am sharing "In the end by Linkin park". Step 2: Just below the track click on share button. Step 3: Switch to Embed tab and choose your music box, below music box click on more options to to enable auto-play or change the color of play/pause button. 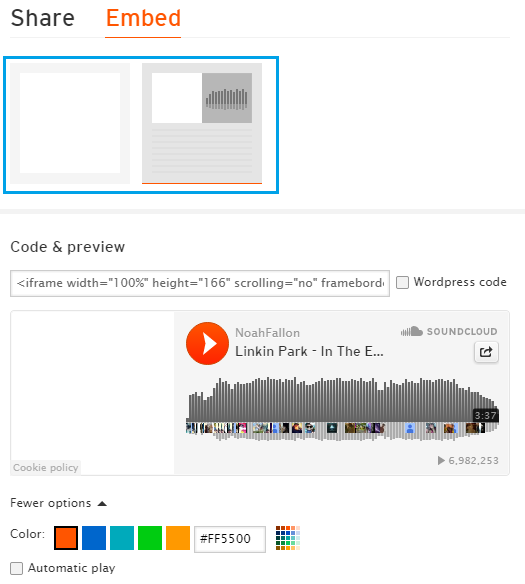 Step 4: Copy the embed code shown above the music player. In-case of if you are adding your music to your post go to your post, edit it, switch to Html tab and search location for your music player, now paste the code,publish your post and you are done. Step 1: Go to sound cloud and search for a full album or a user profile. 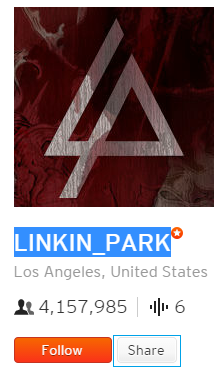 As an example I am sharing a profile having title Linkin_park, you can find it here. A pop-up box will be opened when share button is clicked(similar to the box which had opened at the time of sharing a single track). Step 4: Choose your desired music player and below the box click on more options for customization like play/pause button or auto-play. Step 5: Copy the code given above the music player. That's it all is done, you have successfully added your tracks to your blog. Now all I have to do is to make changes in the highlighted piece of code to adjust the player according to the width and height of my post page. Similar to me you can also adjust your players width and height. 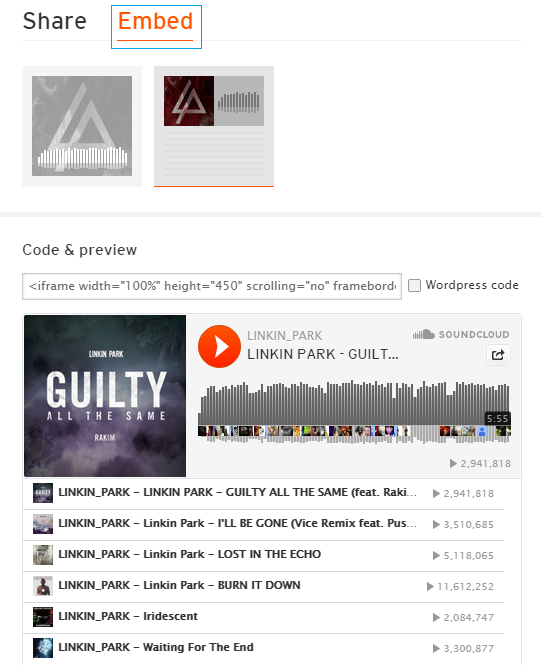 Adding sound cloud profiles to blog not only helps you to get more views on your tracks but you can also get more followers as every player shows a follow button on mouse hover and it also helps you to entertain your visitors while reading your posts. So add your sound cloud tracks to your blog and increase your fans. I hope you like this post and this is helpful to you. If you like this post and you think its good then please share it with your friends. Follow and subscribe to get instant blogger tutorials in your inbox. Thanks for visiting 101Helper and keep visiting! Search tags: Sound cloud followers, Soundcloud views, How to add Soundcloud embedded tracks in blogger, Sharing soundcloud tracks in blogger, 101Helper blogging tricks, How to add music player in blogger. Best quality post for bloggers. Awesome!